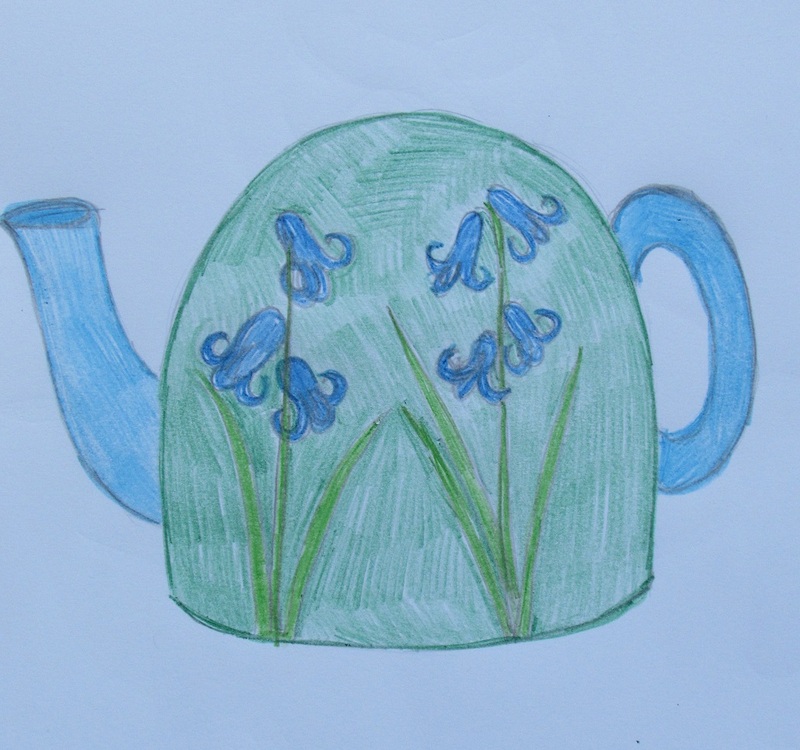 I'm springing into action in readiness for spring with a Bluebell tea cosy. Springtime is such a magical time with all of nature waking up from its long winters sleep. It's lovely to see all the flowers coming into their own at this time of year. I love bluebells and every spring we visit a nearby bluebell wood. They are such cute and dainty flowers and what a powerful scent they have. I also love their colour, I always think that blue is an unusual colour for a flower, they tend to be more punchy colours, or pastel shades but seldom are flowers blue, which make blue ones feel more special. I have designed a simple tea cosy with just a few stems on each side. I like the business of the background of the woodland floor, and I’d like to re-create this impression on the main part of the cosy, so I shall use a textured stitch to bring that to life. The flower head themselves I want to keep dainty and sweet. I love the way the little petals curl up, they look like little fairy bonnets. In course Stylecarft Special DK have the perfect shade of yarn for this project – Bluebell.